We love classic materials and so do many of our clients. 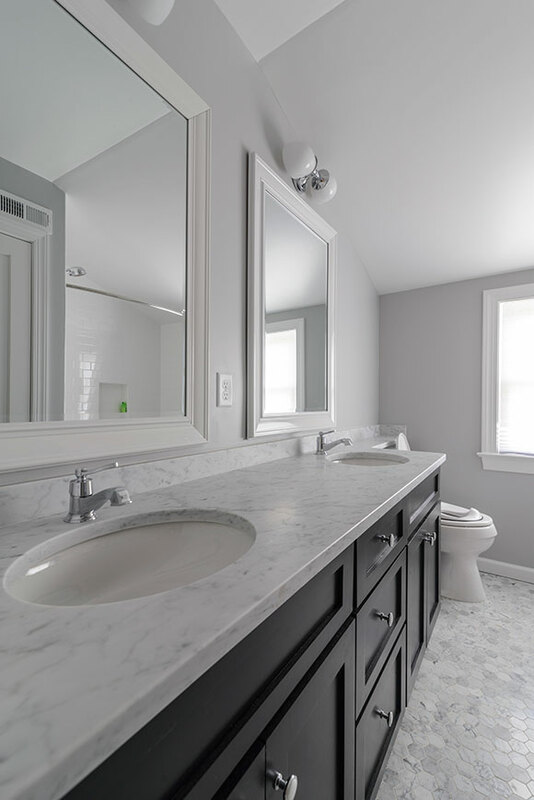 In this ample bathroom, we installed natural stone floors and countertops and gave the whole room a coat of off-white taupe paint to reflect natural light. Also a rich, elegant vanity transforms an otherwise dated bathroom into a refined space.